I apologize everyone for the lack of response, but I appreciate all the feedback! @M_Malcom — By "an aristocrat route", I assume you mean including the "artist" piece of the Aristocrats triad, since I have so much of the "fodder" already? 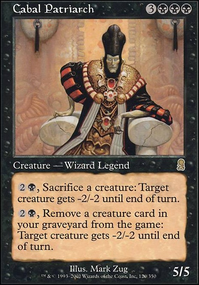 While I can see your point on that, the reason that Aristocrats can work is because it has the third piece of the triad — sac outlets — to ensure death triggers. I can't take up space in the deck for cards that rely on incidental deaths from blocking. Also, that strategy is ultimately at odds with the main win-con, which is having a lot of spiders. As to infect, yes, I've absolutely considered it. In fact, I have an entire brew on the backburner that I might try out at some point. 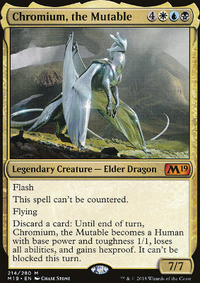 But in that vein, I think the main issue is that trying to fit the various infect cards into this deck would detract too much from the game plan of this specific build. I'd rather dedicate a different deck to that theme if I were going to do it. So I'll let you know if I ever try out that other brew! You other idea, however, is a very good one. The only worry I have is that Threshold might be too slow. The whole point of most of the spells in the deck is to reach Delirium and stall the game until I can unleash Ishkanah on turn 5. In my playtesting, I found that I don't usually reach Threshold until right around turn 5. Still, I'm going to try it. But you're right — only the cards you mentioned fit this deck. Of those, I don't prefer Rancid Earth because of the double black to cast and the fact that it would only be good in certain matchups. Toxic Stench , though, might be good. But you also gave me the idea of looking for other graveyard synergies. I'm also considering the Delve card Death Rattle or Murderous Cut . My graveyard quickly fills with redundant card types, making perfect targets for Delve. I think it'll suffer from the same speed issue as Threshold, though, as it won't be castable for 1-2 CMC until around turn 5-6. Other than those mechanics, most cards that care about the graveyard care about specifically creatures in the yard, which isn't as good in my deck. But I found two cards that might be good — Drown in Filth and Ghastly Demise . I'm leaning toward the latter. I will give Mishra's Bauble a try. Thanks for suggesting it! 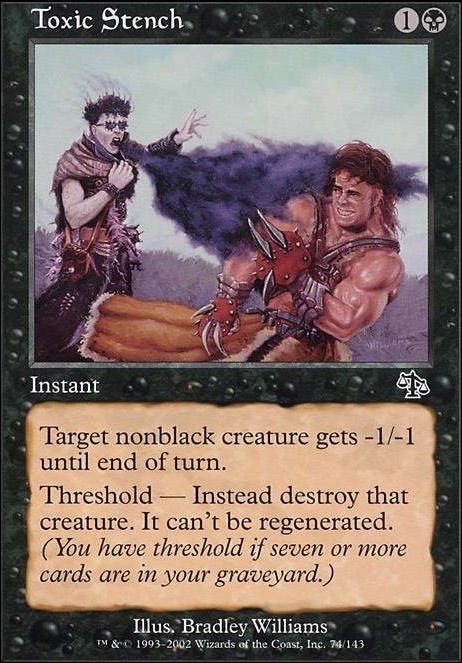 I feel like Green Sun's Zenith is just an alternate card for / additional copies of Traverse the Ulvenwald , since I won't want Ishkanah to enter the battlefield unless I have Delirium anyways. So 1 green mana + 5 to cast GSZ is functionally identical to 1 green mana for Traverse + 5 to hard-cast the searched-up Ishkanah. I actually already have Dryad Arbor in my Maybeboard, due to it having two card types. Other than the two card types for Delirium, why do you suggest Arbor? And why only 1-of? I might look for an Overrun effect. Anyone know what would be good? Triumph of the Hordes perhaps? Lastly, I do acknowledge that Constant Mists is very good. But this deck can't afford to sac lands. If anything, it needs to ramp. And this card would have to take the place of Arachnogenesis , which is obviously much more on-theme! 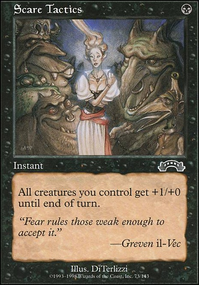 Have you thought about maybe using cards with Infect? 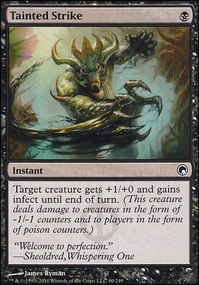 Not for any specific mechanical reason (although with all those low-power high-defense creatures, it might actually be a good way to eventually get rid of strong enemy creatures), but more because poison and spiders really fit well together from a flavor perspective? Also, there's already a spider with that, Blightwidow , and Phyrexian Hydra really already looks like a spider anyway, if you're willing to ignore that it technically doesn't have the creature type or reach. 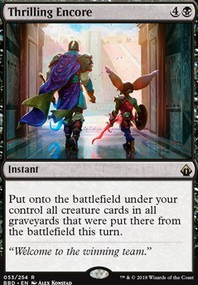 Phyresis or Tainted Strike might also be cool, again both for flavor reasons and because it gives your creatures an easier way to kill. I feel like you're also not doing enough with your graveyard, given how many cards you put in there. The only idea I had was Threshold, but there's not much that fits the theme of the deck. Maybe Rancid Earth or Toxic Stench ?